Painted Perspective: ACEO: Coz I wanna ba startin' something. ACEO: Coz I wanna ba startin' something. I've been thinking lately to start making ACEOs. ACEO means "Art Cards, Editions, and Originals" a.k.a. ATC or Art Trading Cards. The rule here is that the size of these art cards have to be 2 1/2" x 3 1/2". Measurements beyond this will not qualify as an ACEO. You can use absolutely any medium you want (watercolor, collage, photographs, pastels, charcoal, ink, pencil, blood, etc). You can keep them in trading card albums because of their size. You can trade ACEOs with your fellow artists or sell it if they don't have ACEOs of their own. Does anyone know if there's a group of artists or maybe individuals here in Metro Manila that sells/trades ACEOs? Coz Google came up with nothing. And I find that a bit unsettling because the Philippines is brimming with artistic talent, especially in the visual arts. WHY IS THIS. For more details about ACEOs, check out Just For Fun's informative "How To Make and Sell ACEO Cards." 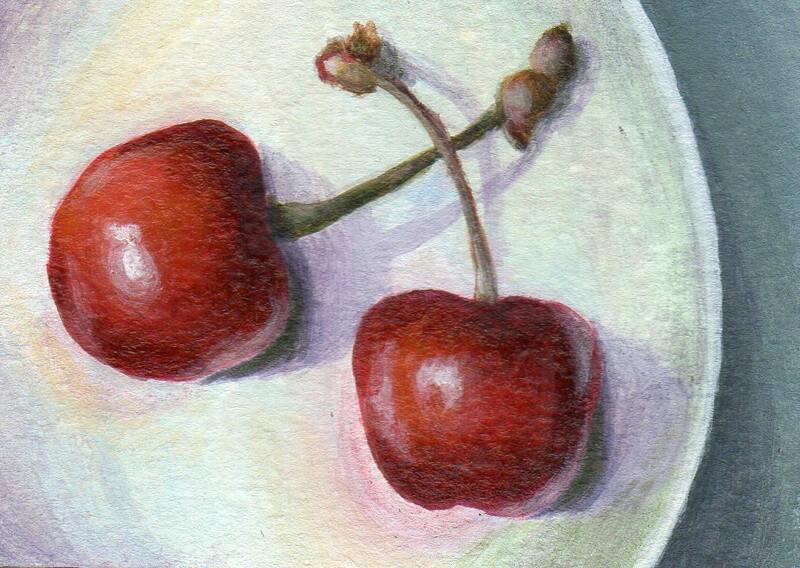 An original ACEO by Debbie Shirley. 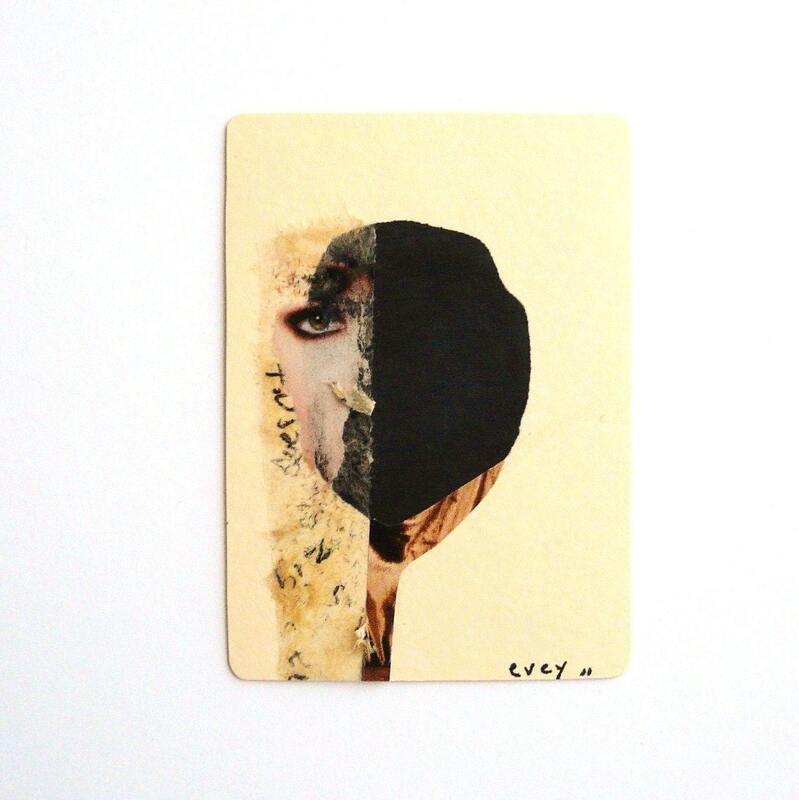 Original Collage ACEO by Evey. 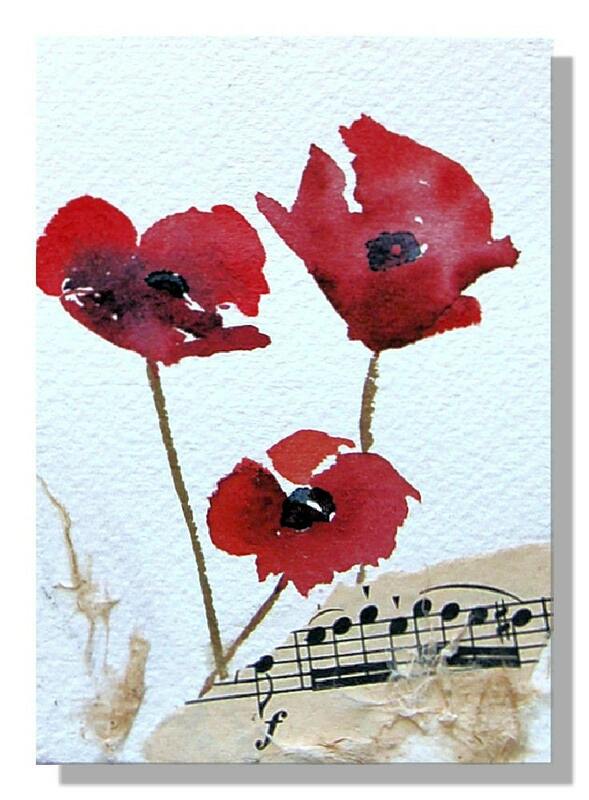 Mixed media ACEO by Mary M. Hamilton. To my artistic friends: LET'S MAKE ACEOs. Just 'cause. You guys can use anything but always remember to stick to the standard measurement of 2.5 x 3.5 inches. I dunno if there are playing cards with that size but if there is, let me know.